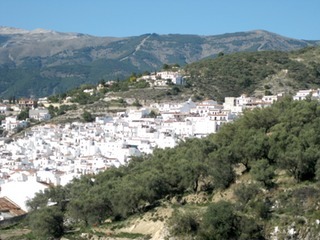 Competa is a typical Spanish ‘white village’ set in the foothills of the Almijara mountain range, about 16 kilometers from the coast and about one hour and fifteen minutes drive from Malaga International Airport. It is a pretty and characterful village which has retained its Moorish layout and has a good number of bars, restaurants and shops. The conservation area of the Sierra Tejeda, Almijara y Alhama lie directly behind the village and is perfect for walking and sightseeing and the coast with many beautiful beaches is only half an hour away by car.